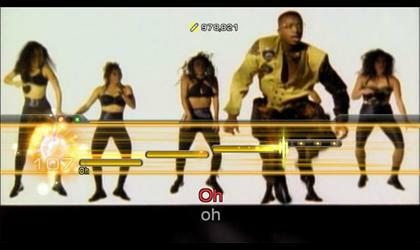 Lips: Number One Hits is a karaoke title that offers a slew of popular chart-toppers for your vocal enjoyment. Classics like “California Love”, “Heartless” and the infamous “Barbie Girl” are all available on the disk, along with more recent singles like “Viva la Vida” and “Big Girls Don’t Cry”. Using any Xbox 360 microphone, you can choose a song and be judged on everything from your rhythm, pitch, and performance to your technique and stability. If you constantly nail the high notes and master the rhythm, your score will rise to astronomical highs. 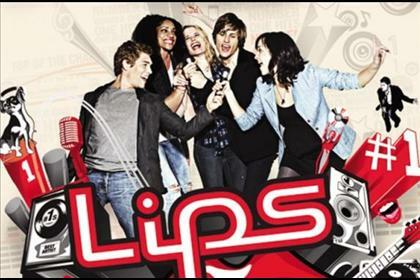 Since Lips: Number One Hits offers a leaderboard for each song, you’re given plenty of reasons to strive for perfection. The song selection is clearly the high point of Number One Hits, as the solid variety ensures that there’s something in there for everyone. There are over 100 songs available for purchase over Xbox Live, and even more if you own the original Lips, as certain tracks are importable for use in the sequel. The music videos playing in the background are a nice touch that adds some visual style to the action. It also gives you another excuse to watch the “Can’t Touch This” video every day, a welcome surprise that no one should complain about. If music videos aren’t your thing, you can enable a few simplistic minigames that will play behind the action. Though not deep, their addition is a welcome change. Sadly, the tech that powers the latest Lips isn’t perfect, as the game sometimes doesn’t rate your vocals as accurately as you would like. I had trouble getting it to pick up certain people’s voices during my testing, leading to confusion over why the game is so selective. There is an option to calibrate the microphone, but it doesn’t always fix the problem completely. With a little tinkering, though, you should be able to get it up and running. Despite that, the beautiful layout, fun karaoke gameplay, and a hearty song list make Lips: Number One Hits a great pick-up for parties. If you can’t last an hour without belting out the latest Lady GaGa tune, this one’s for you. Just don’t do it in public. Ever.